A good friend gave me this amazing cookbook, which I’m a huge fan of! 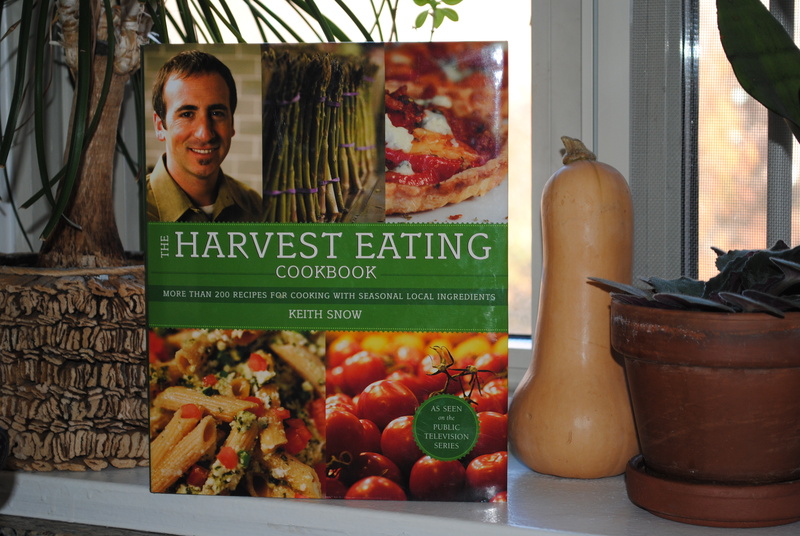 Chef Keith Snow created The Harvest Eating Cookbook that covers foods that are fresh and in season. He stresses the importance on how harvest eating is a lifestyle, rather than a diet. Amen Keith! 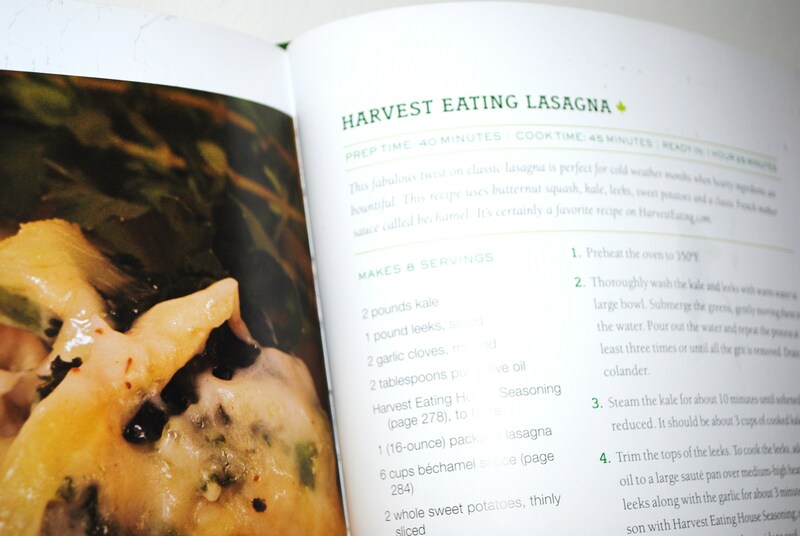 Pick up a copy of The Harvest Eating at your next visit to Barnes and Noble! As I’ve mentioned before, the Fall has some of the best seasonal ingredients. 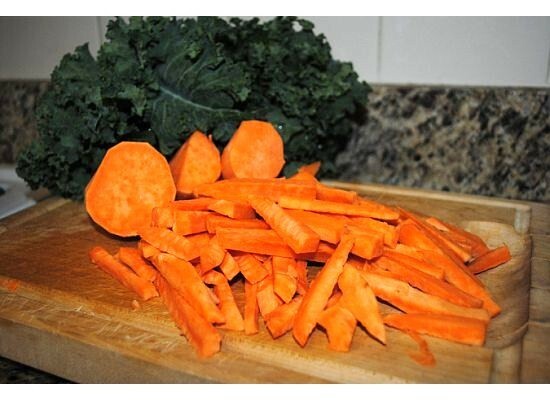 What’s more amazing is packing all these seasonal foods in one delicious dish! 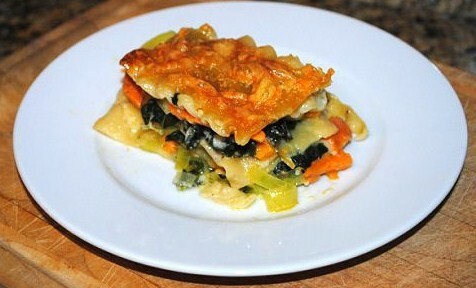 I give you, Keith Snow’s Harvest Eating Lasagna! 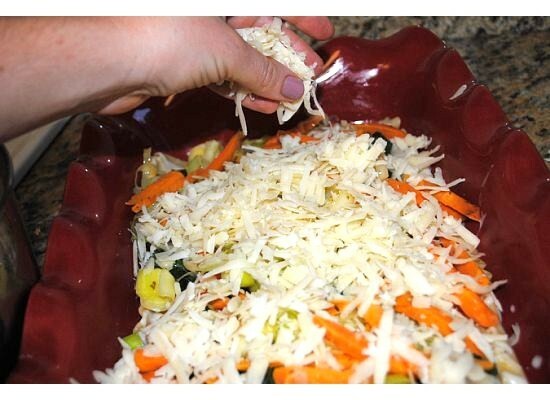 First, if you did not buy your cheese already shredded, I’d advise doing this as the start of your prep work. 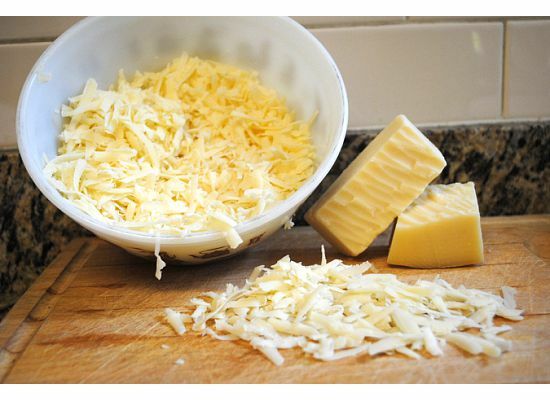 3 cups of shredded Gruyere cheese and 2 cups of Pepper Jack cheese. 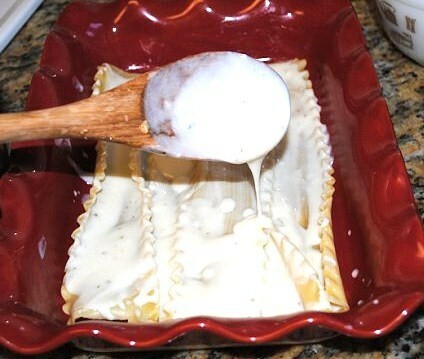 Next, you are going to make the bechamel sauce for the lasagna and then set aside. 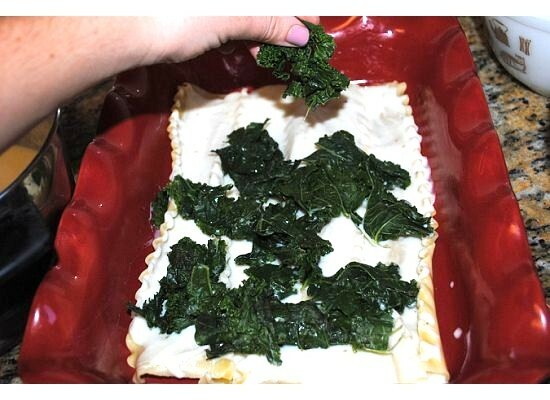 Bring 1/2 cup of flour, 1 stick of organic butter to pot on low heat and stir for 5 minutes. 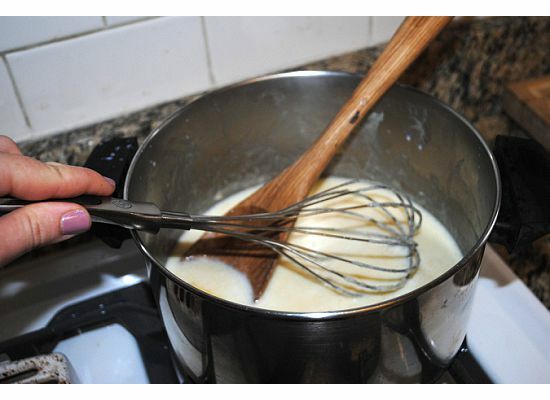 Add 3 cups of organic whole milk and whisk. 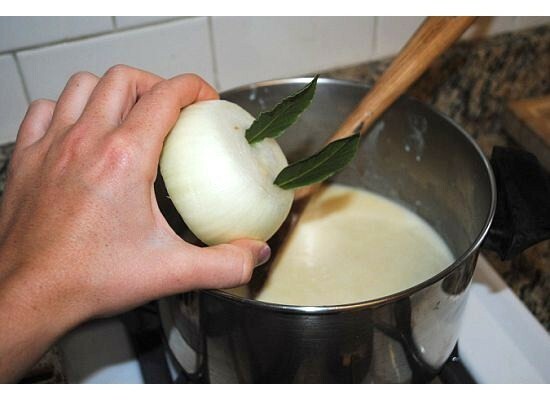 Stick 2 bay leaves in 1/2 organic white onion and add to mixture. 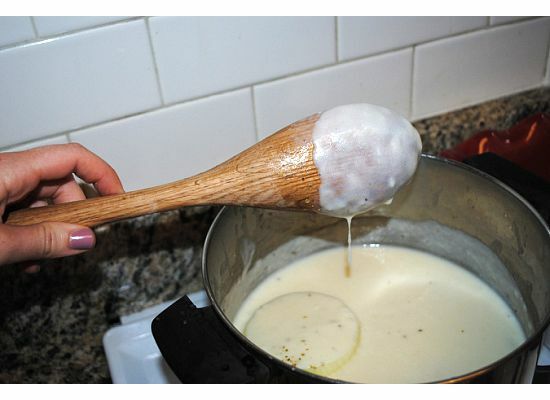 Season the mixture to taste with salt and pepper to your liking, bring to a simmer and cook until sauce is thick enough to coast the back of spoon. Like this! 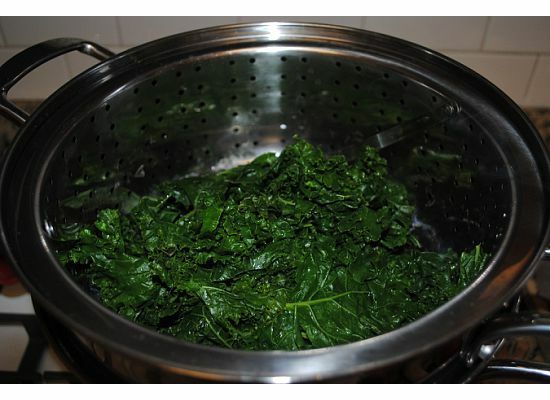 Next, wash and steam 8 -10 kale leaves (roughly chopped) for 10 minutes until softened. 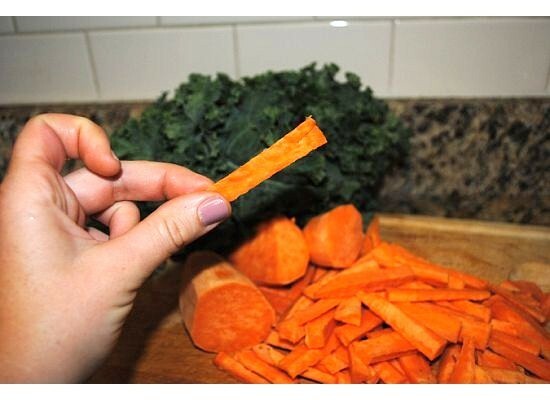 Then, cut 2 whole sweet potatoes julienne style (looks like carrot sticks). 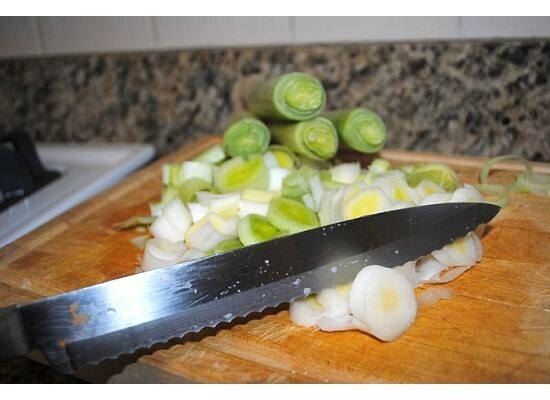 Next, chop up 3 leeks (regardless of the amount you see in the picture below.. sorry for the confusion!) Then wash the leeks by submerging them in warm water, pour out water and repeat the process 3 times. 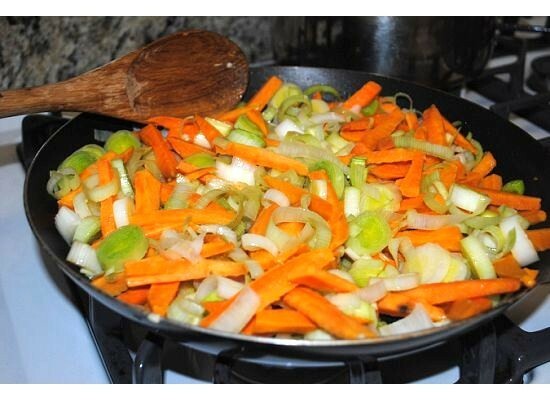 Bring leeks and potatoes to saute pan with 2 tablespoons of pure olive oil on medium heat. 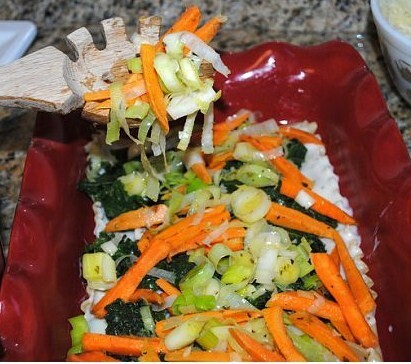 Add 2 garlic cloves and saute for 3-5 minutes. 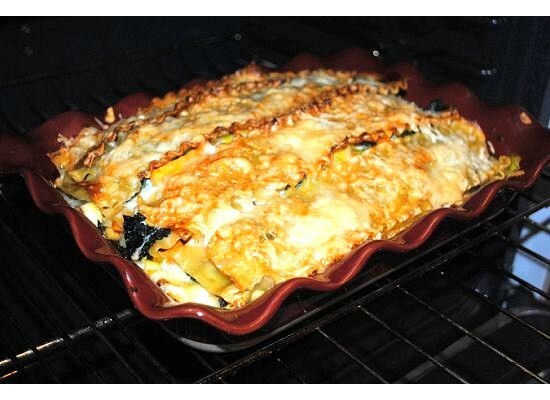 Next, cook lasagna as directed on box. 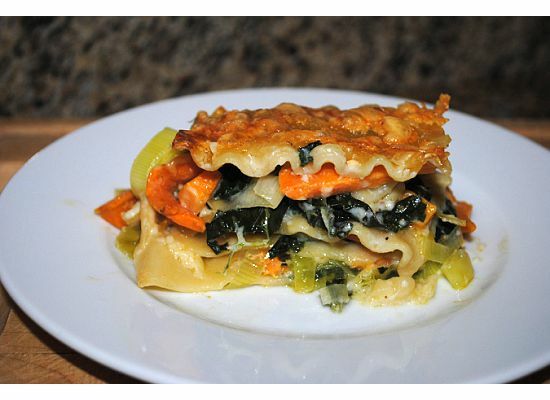 Then, assemble the lasagna in layers in 13 x 9 inch baking dish. 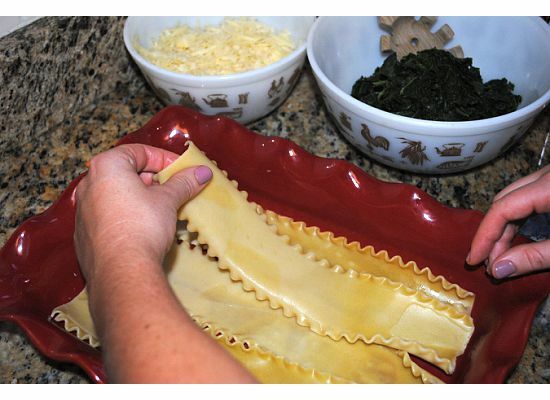 Start with lasagna and cover the bottom of the dish. 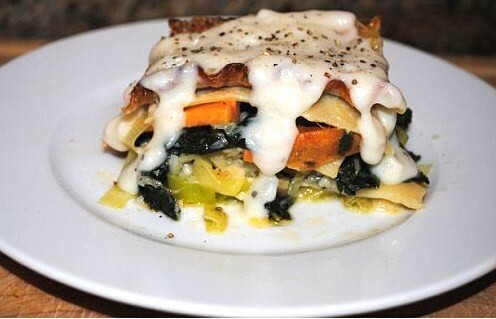 Add some sauce on the bottom of each layer. 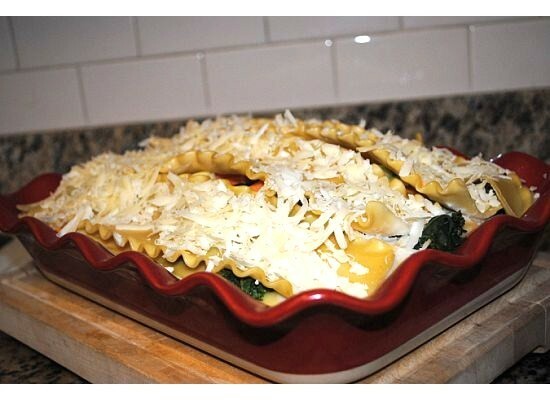 Layer until the baking dish is full to the top and finish with a little cheese top off. Like such! 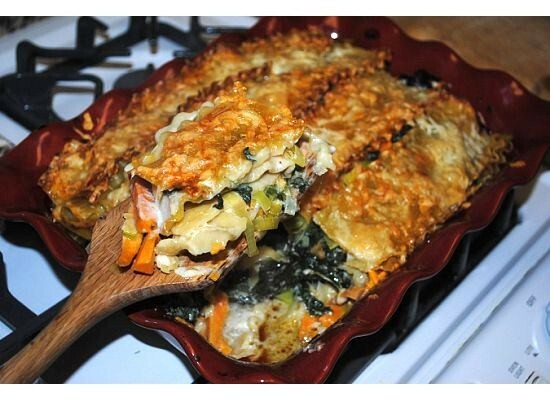 Look at the beautiful layers of vegetables! 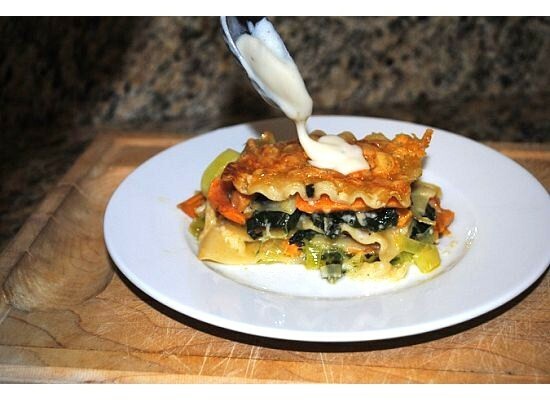 Enjoy this delicious Harvest Eating Lasagna and a big thanks to Chef Keith Snow for introducing this wonderful recipe to us all!